In my day-to-day role as a Michigan DUI lawyer, one of the most common questions I am asked is something like, “What’s going to happen to my driver’s license?” This is often followed by an explanation of how the person needs a license to drive to work, or a question about what can be done so he or she can have a license to at least get to work. In this article, I want to answer those questions; those answers are, in fact, clear and simple, but sometimes the consequences are hard to accept. The whole point of this article is to make crystal clear what will happen to your driver’s license in a drunk driving case. The rules governing what happens are fixed and inflexible, and as frustrating as that can be, it also simplifies things quite a bit. Before I explain how a Michigan OWI charge affects a driver’s license, I need to be a bit undiplomatic and stop a certain line of questions right in its tracks. People will often ask things like, “How do they expect me to keep my job,” or “How am I supposed to get my kids to school.” To be clear, if not cold, under the law, that’s your problem. The rules are the rules, and if you can’t drive to work and that means you’ll lose your job, you need to understand that there is no “they,” and therefore no person, mechanism or system that cares about, understands or who can otherwise do anything about your situation. There is nobody who “expects” you to do anything. 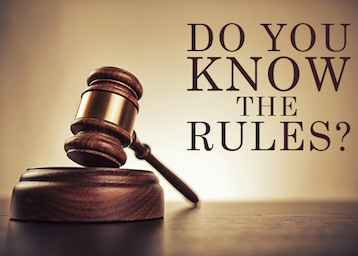 Instead, there is a set of rules that applies when you get a DUI, and it applies no matter who you are, how much money you have (or don’t) and whatever your personal situation. If you first accept this principle that these rules apply without exception, then it becomes much easier to understand what will happen to your license. OWVI (Operating While Visibly Impaired) – Your license will be RESTRICTED for 90 days. Under Michigan law, a restricted license means you can only drive to, from and during the course of (for) work, to and from your school (not your kids’), to and from any necessary for medical treatment (for you, and not anyone else), to and from anything the court orders you to do, and to and from any support group meetings, like AA. There is no ability to drive for any other reason beyond those just listed, and there are no exceptions whatsoever. OWI (Operating While Intoxicated) – First, your license will be suspended for 30 days, meaning that you cannot drive at all, for any reason, during that first month. After the first 30 days have passed, you will have a restricted license (see above) for the next 5 months. High BAC (OWI with a BAC of .17 or greater) – Your license will be suspended for 45 days (no driving at all) followed by a restricted license for the next 10 and ½ months, but you can only drive during those 320 days with an ignition interlock in your car. At the end of these various suspended and restricted periods, all you need to do is take the mandatory $125 reinstatement fee to a Michigan Secretary of State branch office, get your picture taken, and you’ll get your FULL license back. If you’re facing a 2nd offense DUI, meaning that you have previously been convicted of any alcohol-related traffic offense (OWVI, OWI or High BAC) within the 7-year period prior to your arrest date for the current offense, your license will be revoked. This means it is taken away for good, and you can only get it back when you become eligible to file for a full-blown driver’s license restoration. See my the driver’s license restoration section of this blog and the license restoration section of my website for information about that. There is, however, a possible exception to outright revocation, and it applies to those people who are accepted into and submit to the jurisdiction of a sobriety court. This stands as the only exception to the otherwise unchangeable license rules: A sobriety court Judge can override the revocation of your license and order a restricted license with an interlock unit. This primarily apples in 2nd offense cases, but it does also hold true for 3rd offense cases, as well, if the charge is reduced from a felony to a misdemeanor and the person is ultimately admitted into a sobriety court program. A 3rd offense occurs when the current arrest has taken place within 10 years of 2 prior alcohol-related driving convictions. The minimum period of 1 year revoked for a 2nd offense DUI is increased to a minimum revocation period of 5 years for a 3rd offense DUI. That’s it. Simple, clean, and remarkably inflexible, this straightforward matrix always generates an endless stream of “Can I, “What about” and “What if” questions, no matter how much I (or anyone else) tries to explain that it is not subject to modification. If you can just understand that what is listed above is the whole of it, and that no matter what of who you ask, or how you ask it, the answer is a short, “No,” then you’ve got it! This means that even if you are a single parent and you need to drive your child to a lifesaving medical treatment, there is nothing that can be done to get you a license. It also means that there is nothing else to know except the consequences outlined above. Of course, and as I just noted, no matter how many times I say it, people will still have questions. As simple as the rule matrix may be, so to is the reality that people will always wonder. After 25 years as a DUI lawyer, I expect this. Whether you get this, or still wonder “What about,” or “What if,” if you’re facing a DUI anywhere in Wayne, Oakland or Macomb County and you’re looking to hire a lawyer, give my office a call. We’re here to help, Monday through Friday, from 8:30 to 5:00 pm, and can be reached at 586-465-1980.